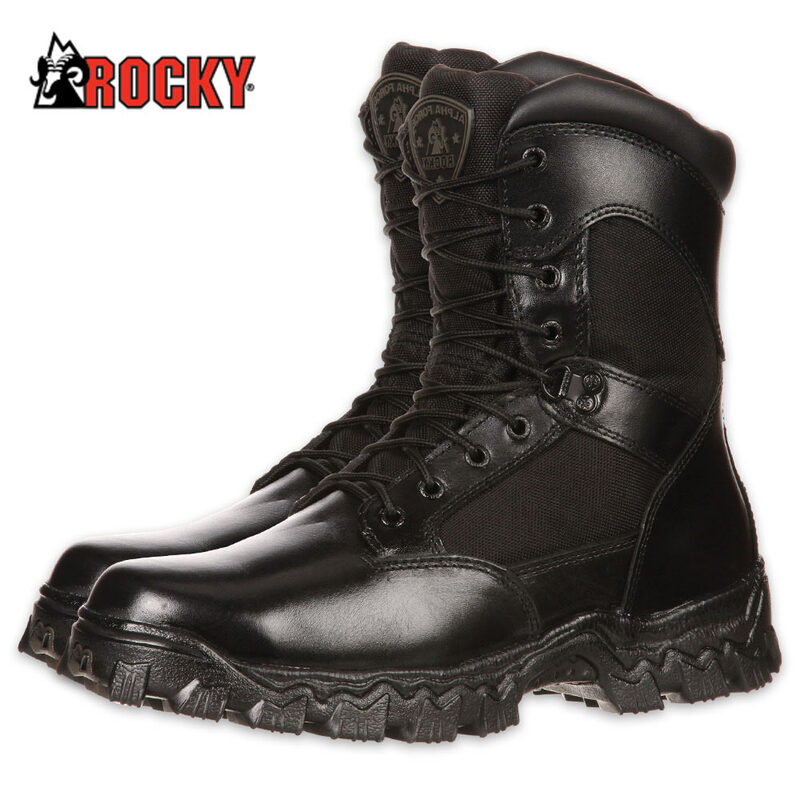 Rocky Alpha Force Zipper Waterproof Duty Boot | BUDK.com - Knives & Swords At The Lowest Prices! When you have a mission to complete, your choice of footwear cannot stand in your way! You need to wear the best to perform the best. 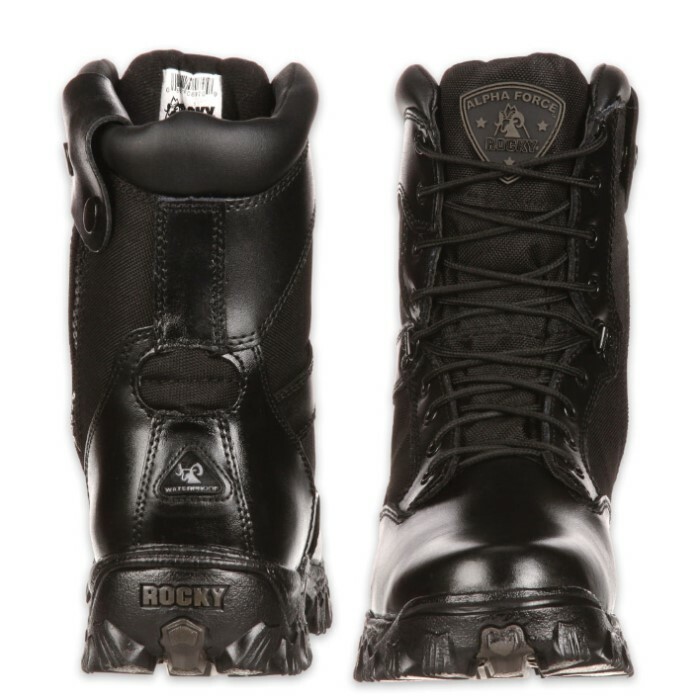 The Rocky Alpha Force Zipper Waterproof Duty Boot, designed and built by the world leader in active footwear, is a great occupational boot for tough work boot job needs. It was built with full-grain leather and 1000-denier nylon fabric so that it will hold up, even in the most extreme working conditions. The Rocky Waterproof construction creates a barrier that is guaranteed to keep water out, so your feet will remain completely dry. The Air-Port footbed is made from polyurethane and absorbs shock, but always reverts back to its earliest shape. The cushion footbed specifically targets your heel and metatarsal ridge, giving you support and comfort. 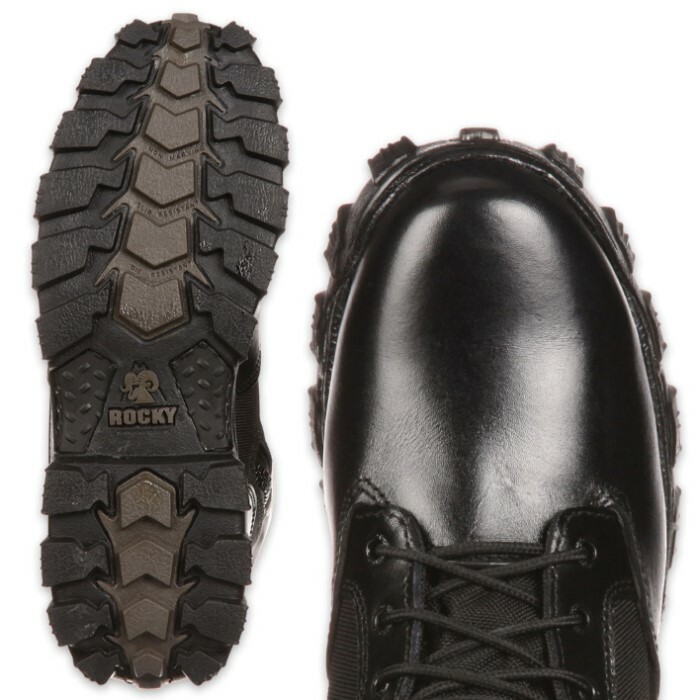 This boot features a non-metallic stabilizer, and has a non-marking RigiTrac outsole that provides oil and slip resistance and there is also a side zipper that makes it possible to get the boot on and off easily. It comes in sizes 8, 9, 10, 11 and 12.